The 112A shelf by Artek is the big brother to the 112B. 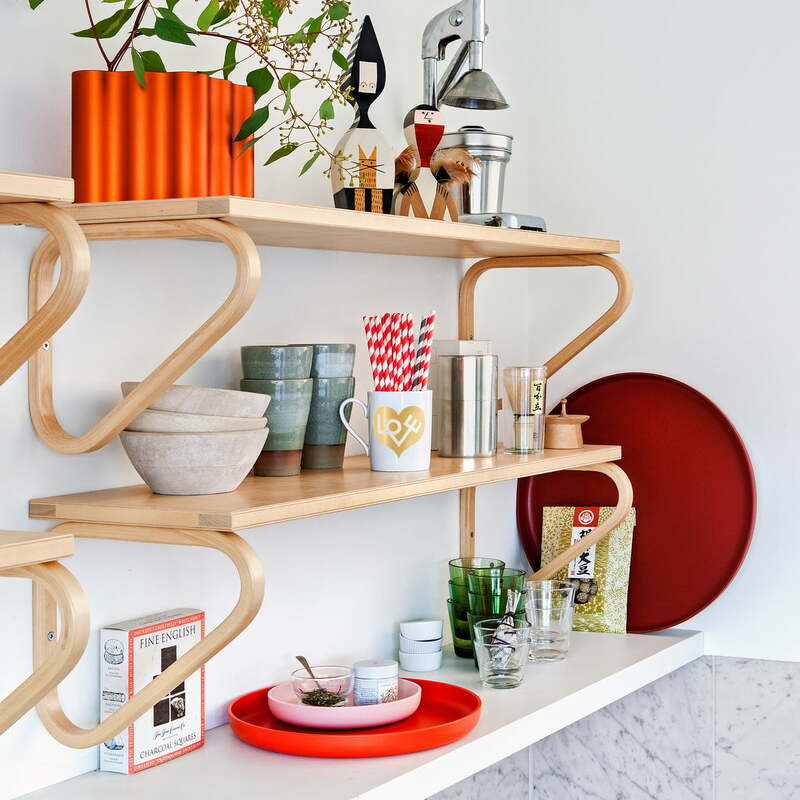 The design for the shelves comes from Finnish designer Alvar Aalto. The latter had already designed the shelves in 1936. The company Artek still produces it today according to the classic design. The shelving board for the 112A wall shelf is deeper than its side beams. This is the difference between the 112A and 112B shelves. Thanks to the larger depth, the 112A gains an inviting appearance and offers space even for larger objects. 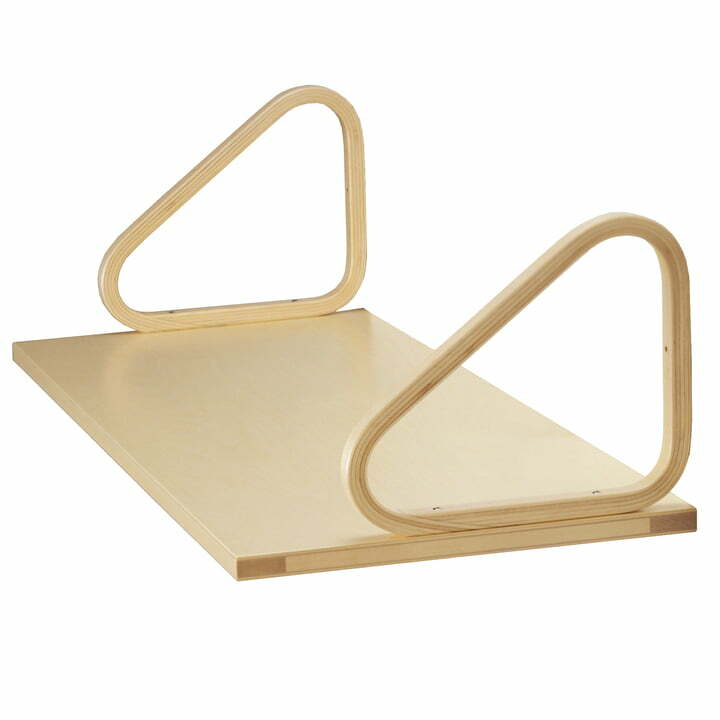 The brackets for the wall shelf are made of birch wood and the tray from birch veneer.The shelf is varnished and is available in black and white editions.Characteristic of the design of the 112A wall shelf are the rounded, triangular brackets that lie directly on the shelf board.Alvar Aalto also used this shape with the brackets for his 109 wardrobe and 115 umbrella stand.Manufacturer Artek recommends a damp cloth for cleaning his wooden products. If necessary, you can also use soapy water.The product should be rubbed dry well at the end with a dry cloth. Lifestyle product image of the Vitra - Trays, red (set of 3). Carefully coordinated colours and proportions give the food safe plastic trays a decorative appearance on the sideboard, table or on the windowsill.